Search Engine Optimization (SEO) is to providing your website the proper structure of html code along with proper content (text, images, videos) so your website shows up higher in search engines like Google. The higher your website show us from search terms, the better for you with brand racognition, brand trust, new customers and sales. A search engine such as Google wants to provide accurate results for your searches so users enjoy their experience online. Please understand the difference between advertising and SEO. 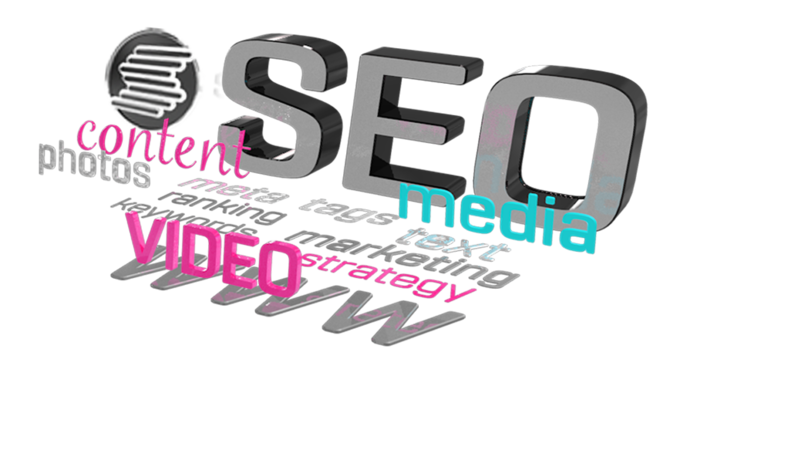 Many SEO companies mix advertising into their packages to show you success with new customers. Advertising is not SEO. Anyone can get you on the first page of Google today if you are paying for every click to view your website. This is called advertising. All you need is a budget of money to spend and you will attract people. When your money runs out, so does your positioning. Advertising should be used as short term answers to gain more customers, there is absolutely no long term gain from advertising. Warning: Ensure you know what is being done by your SEO company. In the past, SEO companies have sold “grey area” techniques to help your site position better in Google. Google continually updates their algorithm to eliminate these “grey area” techniques and in the past has even penalized companies that used these techniques to try and fool their software. If it feels like they are proposing to attempt to beat the system, don’t do it. We know you are busy running your company, but more than ever, real valuable content is what is required for your success. Having someone else write content with no value provides no views and therefore no benefit to your website. If you wouldn’t watch it or read it, why would anyone else? What traffic helps my website move to the top of search engines? Pay per click traffic coming to your website does not help you increase in search engine positioning. If it did, Google would lose their income from you. Advertising is NOT SEO. When your money runs out, so does your positioning. Advertising is a short term solution to gain more users and hopefully more sales..
Organic traffic does help your website to show up higher in search engines. Organic traffic is traffic that searched specific keywords in search engines and clicked on your actual website link (not a paid link). Organic traffic is also when someone types in your domain direct, such as www.statearts.com Organic traffic is counted as a positive variable in positioning. Getting traffic to you is the first step, providing valuable content such as textual content, photos and videos give a great user experience will teach search engines your website should be placed higher. Do I need to rebuild my website to make it work better? There are so many variables search engines look for to position your website, so the point of SEO is to teach search engines what you do. Important: If your website is developed by an experienced company, your code should have the proper tags to make search engines understand your site. It takes more time to add this code to a website, so many websites that were developed on a low budget did not allocate any money to add the proper code in. Step 1 in SEO is to review the code on your website. Do I need to rebuild my website to make it successful? A developer with SEO experience can look at the source code of your website and advise you of areas you need to update. On rare occasions, major changes are required to update your site for user experience. An example would be if your site was not “extensible” for all devices. If your site does not properly display content for a proper user experience on all mobile devices, you may need to update your complete site. Your site could just be missing code segments that teach search engines what content you are providing. Remember, this code is important for your success. A common mistake with companies hiring a web developer is specialized on design only. You want a developer that has talented designers and have a strong understanding of code and SEO. If you don’t take the extra time to code the site properly, then you basically have a Ferrari sports car without an engine. It may look good, but you don’t stand a chance against your competitors. Do not let others produce your content for your website unless they are professionals in your industry. If content being written or deployed on social media has not benefit to an end user, it shouldn't’t be used in relation to your company. Do you update your site with new content regularly? Do you only have one small paragraph of text explaining what you do? Do you have support imagery? Do you have support videos? Great content and great user experience is what will show a search engine you are valuable. If everyone that goes to your website leaves within 5 seconds, you are probably not giving your customers the information they need. When it comes to adding content into your website, you have to remember that you have too much knowledge of your industry. Often what you think is important to communicate to your customers is not what they are looking for. Define who your customers are, define your different customers and think of what they might be looking for online. Remember, you only have a few seconds to direct someone to what they are looking for, else they will leave your site immediately and go to another site. If you are an expert in a subject, you should be able to provide a valuable user experience on your web page. Watch how your pages flow and sculpt a great user experience with text, links, imagery and video. If a company produces a package and promises the world, ask for a complete breakdown of where your funds are going. If it sounds too good to be true, it probably is. Organic positioning doesn’t happen overnight. The sooner you start the strategy for success in SEO, the sooner you will start to gain new customers without having to pay for them. Anyone can get you to the front page of Google if every click is payed for. Pay per click sites show up at the top of Google results and are labeled ads. Your site stays in these top spots only until your money runs out. This is advertising. There is nothing wrong with advertising and it should be a part of your marketing plan, but this is not SEO. You have to separate advertising from SEO and have a plan for both. SEO is a combination of proper code and proper content. Once a search engine learns your site is valuable to the search terms people found you in, they will place your website higher in position automatically. If you never properly work on your SEO strategy, you will never get ahead and therefore have to always pay for your customers to find you. The benefits of leading in search engine positioning is brand trust, more organic traffic and therefore more users and sales without having to pay for them. Proper code and proper content should be one of your biggest goals in marketing your company. Some SEO companies used to use software to write your articles and post them on other people's blogs with back links to your website. Google updated their algorithms to catch these articles which were similar in content and switched paragraphs etc. The point of mentioning this is Google has since been more focused on real content and not companies attempting to fool their software. Produce real content and you will win in the end. The three second rule for your website content and layout. Have a look at your web pages and think like your customers. If you cannot direct them to what they are looking for in a few seconds, you could have failed. You don’t want people to leave your site quickly as it is referred to as a bounce and it hurts your positioning in search engines. Videos are easy content to digest. the world of YouTube has become the second largest search engine in the world and it is directly related to Google. Videos make users spend more time on your page and the voiceover within the videos are translatable to text. Videos use multiple senses so customers are better able to retain the messaging. Videos can build trust with your company, reflecting your experience and knowledge. Videos can assist in setting a high level of brand. Videos can be a smarter advertising source as Pay per click is inexpensive and the video message often captures attention for substantially longer periods of time.